Frequently Asked Questions | Full Circle Home Care Inc.
Full Circle Home Care works with you to establish a budget, receives the bills, and then schedules payment of these bills before their due dates, utilizing a proprietary software system. This system can automatically catch suspicious or fraudulent activity. Easy to interpret reports are provided both monthly and annually, informing you of what bills have been received, what bills have been paid, and what bills are coming due. You choose the bills you would like us to pay – some or all. No. You keep your same account and can continue using your checkbook or debit card as you always have if you chose to. Do all my bills have to be paid by the Full Circle Home Care? No, only the bills that you authorize will be paid. However, you can add to your list of the authorized bills at any time at no additional cost. How is this different from paying my bills electronically through my bank now? Paying bills through your bank electronically simply replaces the checkbook with a computer. You still have the deadlines and responsibility of paying your bills on time. With our services, bills are routed to us, we pay them on time every time, and you will never have to worry about them again. What are the Advantages to Our Services? long-term commitment. You can easily make changes to the bills we pay for you or cancel at any time. How will this really benefit me? family conflicts is worth every penny. We would be happy to hear from you. 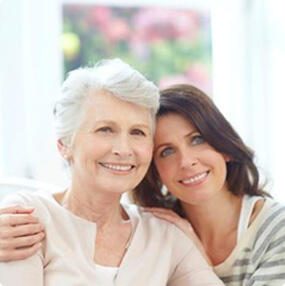 You can reach live help at 416-606-9993 or email us at info@fullcirclehomecare.com any time. We look forward to serving you!